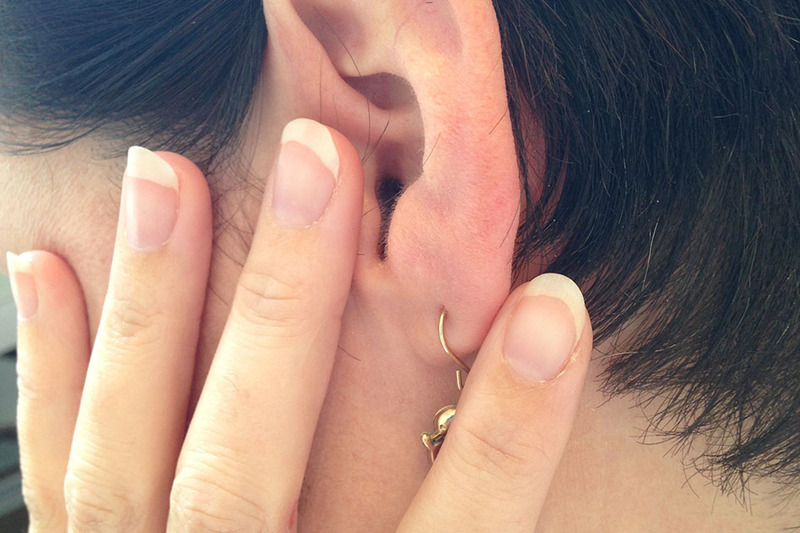 Ear pain can be caused by an ear infection or a cold. Earache from a cold can be a dull, sharp or burning pain that ranges from mild to severely painful. Ear pain may cause difficulty sleeping, and may cause green or yellow mucus to run from the nose. While most ear pain occur with the onset of a cold, a secondary infection may occur in the middle ear, causing extreme pain in the beginning. This is because the sensory nerve endings in the eardrum is responding to the increased pressure with pain. After the eardrum stretches a little, the pain may ease up. · Loss of appetite. This may be apparent in young children, especially during bottle feedings. Pressure changes in the middle ear as the child swallows, causing more pain. · Poor sleep. Pain may be more persistent when lying down as fluid is shifting. · Fever. Ear infections can cause temperatures up to 104 degrees F.
· Vertigo. You may have a sense of spinning. · Drainage from the ear. Yellow, brown, bloody, or white fluid that isn't earwax may seep from the ear, indicating the eardrum may have ruptured. · Difficulty hearing. Fluid build-up in the middle ear prevents the eardrum from functioning properly. The sound is then unable to be transmitted to the bones of the middle ear and from there to the brain. · Otitis media with effusion. Symptoms of acute otitis media will disappear, but the fluid, which is called an effusion, may remain. Trapped fluid causes temporary and mild hearing loss.